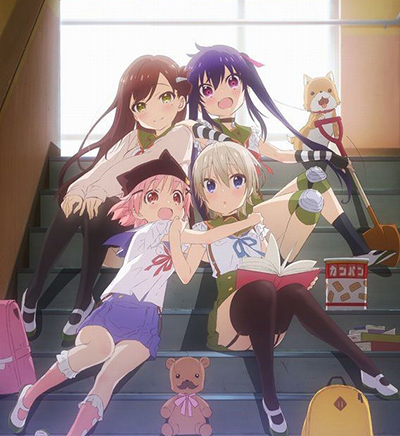 The animated show started to come out on July 9 this year. 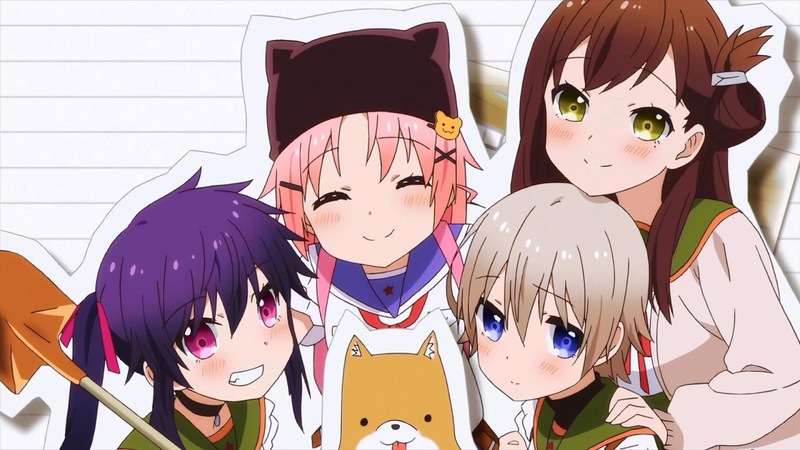 Not only Japanese, but also American and European channels regularly broadcast Gakkou Gurashi! (School Life!) attracting more and more viewers all over the world. If the directors and producers decide to continue the project (and it’s possible cause the shock is so attractive and popular), the second season will be created in spring 2016. The producers are yet to announce the exact date of the new season. Get introduced to the lives of Ebisuzawa, Kurumi (voiced by Ozawa, Ari), Takeya, Yuki (voiced by Minase, Inori), Naoki, Miki (voiced by Takahashi, Rie) and Wakasa, Yuuri (voiced by Ichimichi, Mao). A 3rd -year high school student Yuki Takeya is really fond of her school! She loves the lessons, she loves chatting with her friends and running fast along the crowded corrodors in time of the break. Megurigaoka Private High School is a truly unique place (you get the meaning of “unique” in the end of the very first episode). Here Yuki leads her marvelous life with no troubles. She is a member of the School Living Club. The president of this club is Yuuri Wakasa. Among other members, there are fearless Kurumi Ebisuzawa, Miki Naoki and the teacher Megumi Sakura. There is also a cute dog in the club. Its name is Taroumaru. All this sugary sweetness of the show annoys when you watch the series for the first time. It’s a mix of tons of puppy joy, first school days craziness and reuniting with friends and classmates. The main character named Yuki Takeya is not a very smart and educated girl. She constantly gets into all kinds of problems. Then there comes a shocking twist of the plot. It turns out that the girl simply invents all this positive reality around her. The four girls managed to stay alive after a zombie apocalypse. The students are trapped, cause the school, where the girls are hiding is surrounded by zombies. Among them, there are their former classmates and teachers. Every day the girls have to make sure that the barricades are firm enough to protect their lives from the disastrous zombie invasion. They also run outside the school areas to get food and household stuff. They seem to live a normal life taking showers or going to the library. They do their best to survive in the dangerous world. Each girl handles the problem the way she can. Yuki behaves as if nothing has happened and the girls help her believe everything is normal. Every night the girls suffer from terrible nightmares. It is almost impossible to predict the story and it is hard to understand whether the sequel is getting ready. Even at this point, the things look too creepy. The original idea of this animation comes from the manga that has six volumes published. However, the volumes turned out to be enough only for a season. The continuation totally depends on good sales. Then there will be the new budget for the fresh manga episodes and the anime will continue for the second season. 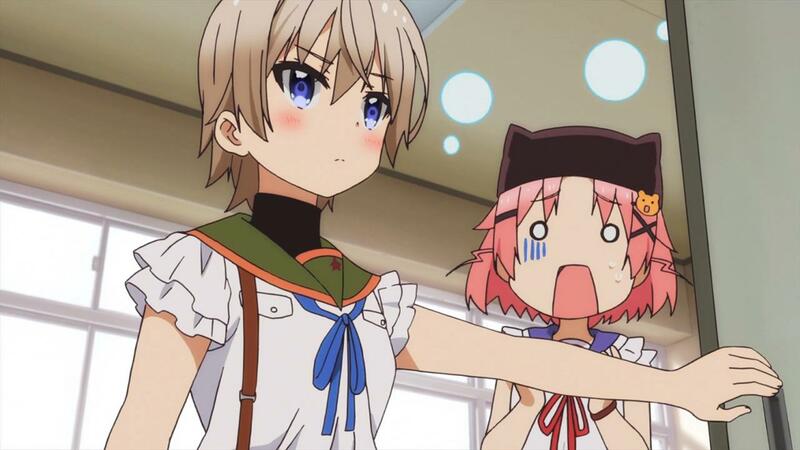 Gakkou Gurashi Episode 12 Anime Finale Review - Season 2 Next Year? ??????? ?